Are you ready for a great semester? It's hard to believe that this is the last time we will go up to Ithaca as undergraduates. 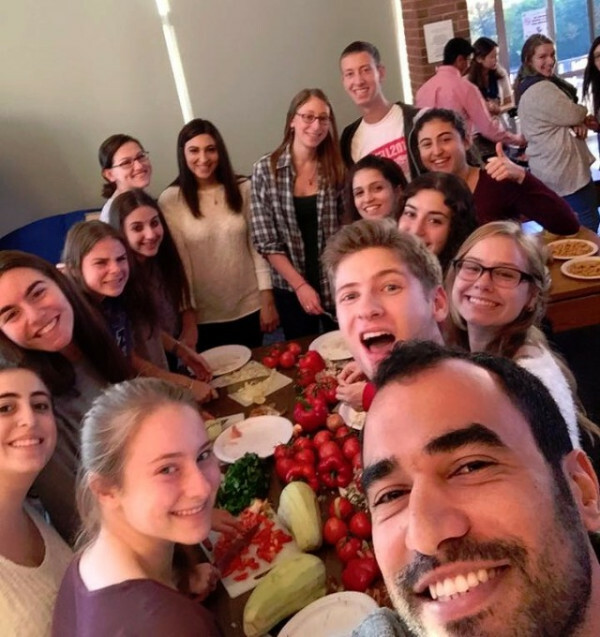 Every fall we have started out our semester at Cornell Hillel's Freshfest and the BBQ on Balch and began our year surrounded by new Jewish students. Freshest is a reminder of how Hillel is home for us. It is a place to start the year and spend the year surrounded by a loving, supportive community. Whatever you need, we are here for you, and however you want to be involved in within the Hillel umbrella, we welcome you. 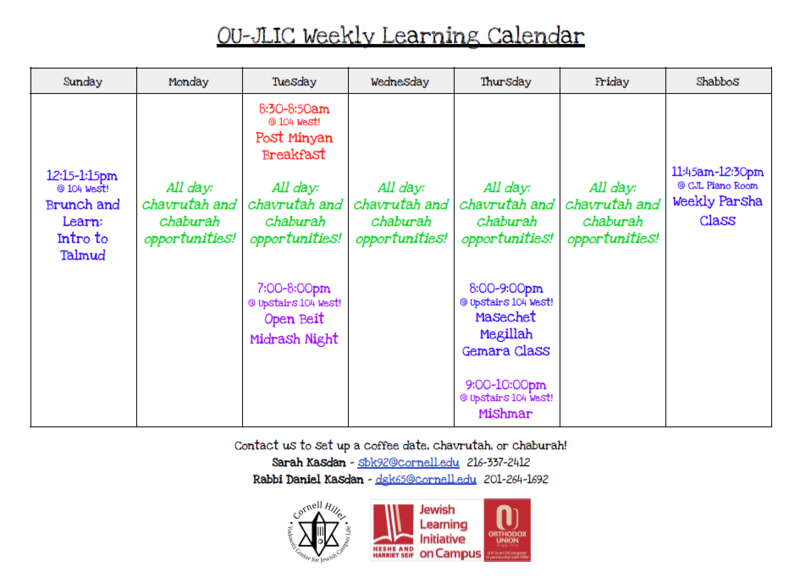 If there is something you would like to see Hillel offer that it does not, please come tell us. This is your community and your college experience. Looking forward to spending an amazing semester/year with you all! 7:00 PM Check-in. Dinner is served at 7:30 PM. 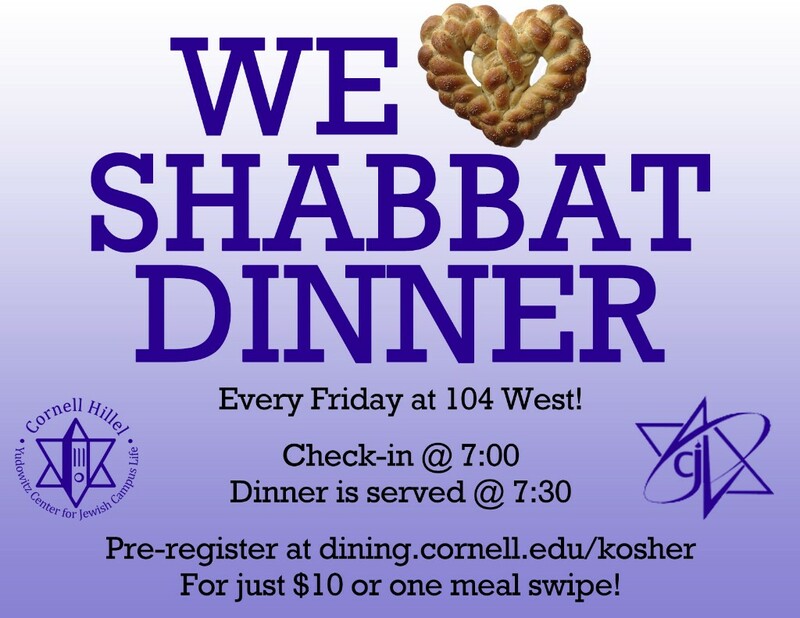 Pre-register here before noon on Friday for just $10, made possible by a generous subsidy from Cornell Hillel. Walk-ins are also accepted for $2 more. 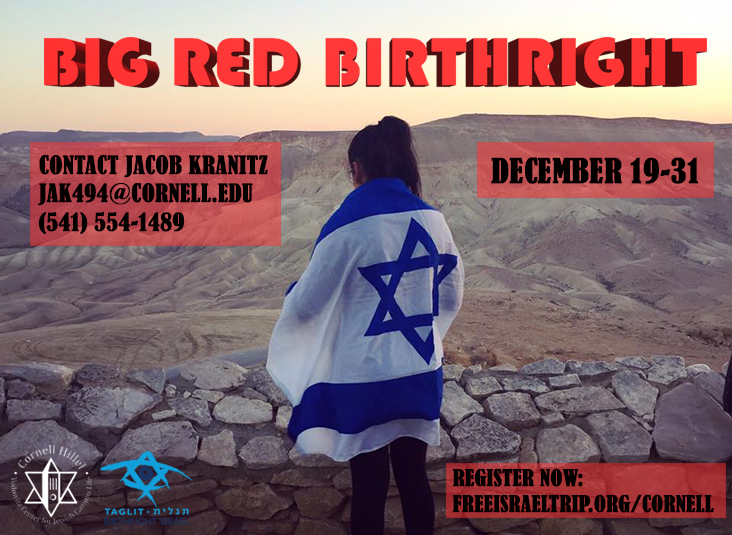 Pre-register for our winter #BigRedBirthright trip now! Trip dates: December 19-31. Questions? Contact Jacob Kranitz. 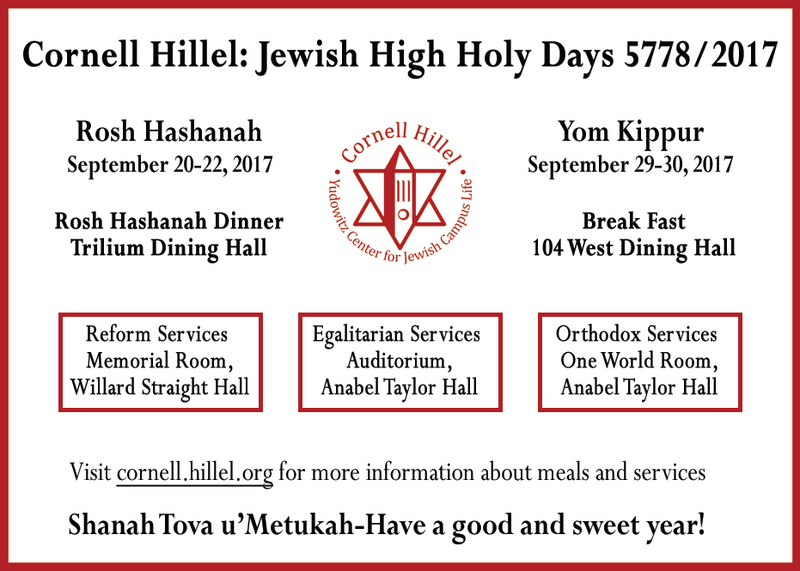 Cornell Hillel invites you to our annual S'moregasbord! Stop by Beebe Lake on Saturday, August 26th at 8:30 PM to enjoy s'mores and a campfire. We guarantee it will be a fantastic time with great food and amazing people! Find us by the north side of Beebe Lake (by the footbridge) the night of the event. Havdallah service will begin at 8:15 PM. Contact Ashley Radparvar or Rebecca Horowitz if you have any questions. Calling all bookworms! 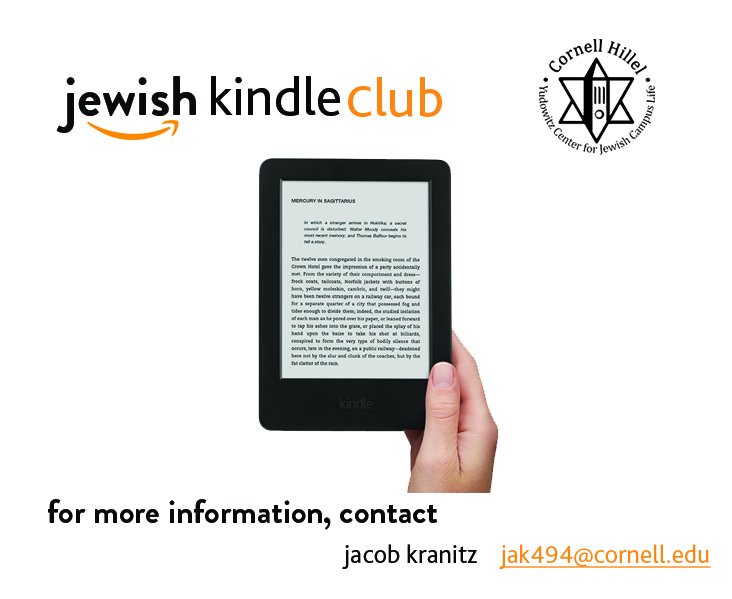 Join the Jewish Kindle Club this semester. We read a wide variety of books having to do with Judaism. 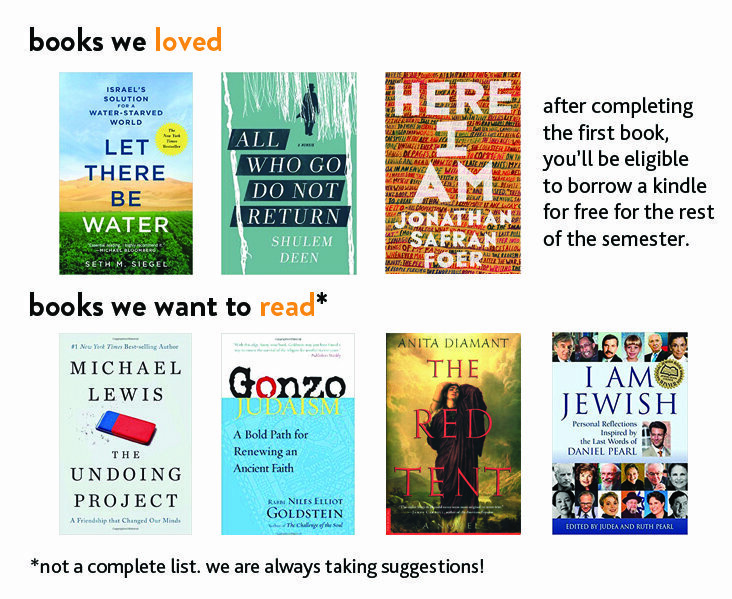 Past picks include All Who Go Do Not Return by Shulem Deen (who is coming to Cornell this fall), Here I Am by Jonathan Safran Foer, and Let There Be Water by Seth Siegel. We are always taking suggestions for the next book to read. Contact Jacob Kranitz for more information on how to join! 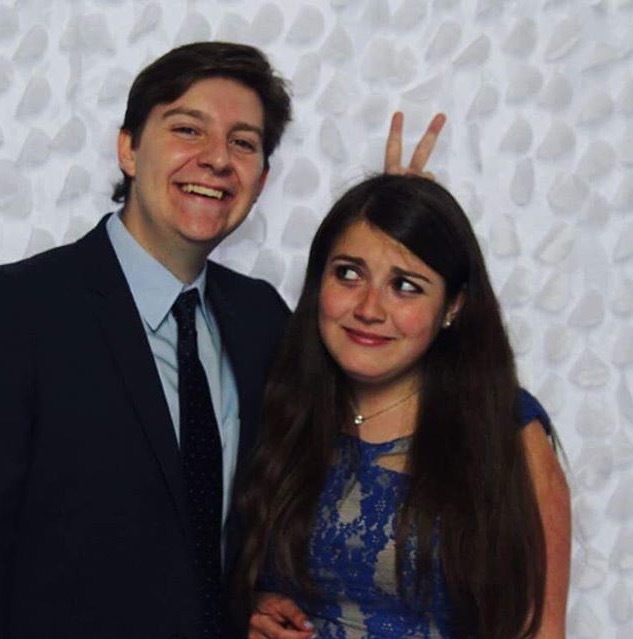 Sarah and Rabbi Daniel Kasdan are the new OU-JLIC (Jewish Learning Initiative on Campus) Educators. They are interested in studying with you, either one-on-one (Chavruta) or with you and your friends (Chaburahs). 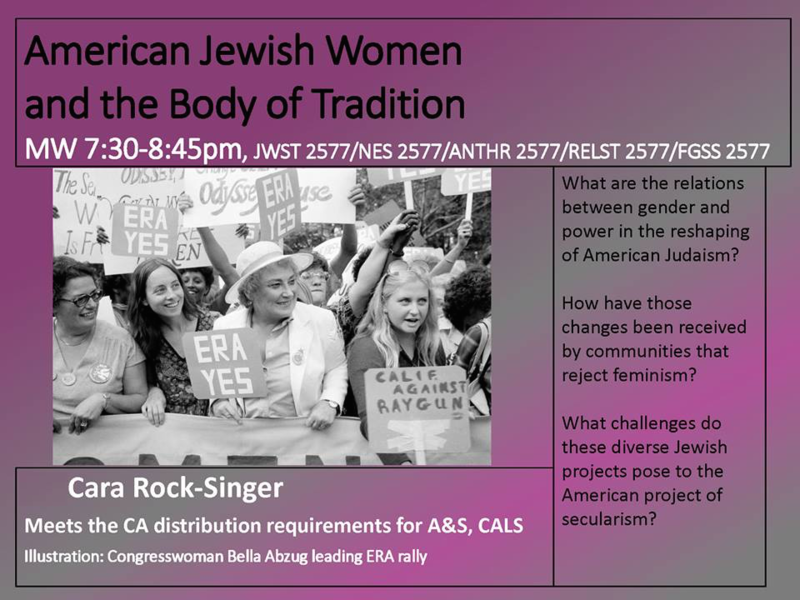 Check out a new Jewish Studies Course, JWST 2577: Jewish Women and the Body of Tradition for this fall! *Sponsored by the Jewish Studies Department; not a Cornell Hillel program.